RUAH’s drop-in centre supports people who are homeless or at risk of becoming homeless. After the RUAH drop-in centre hosted one of our clients as part of a work experience program, the least we could was pull together some donations for their homeless community. 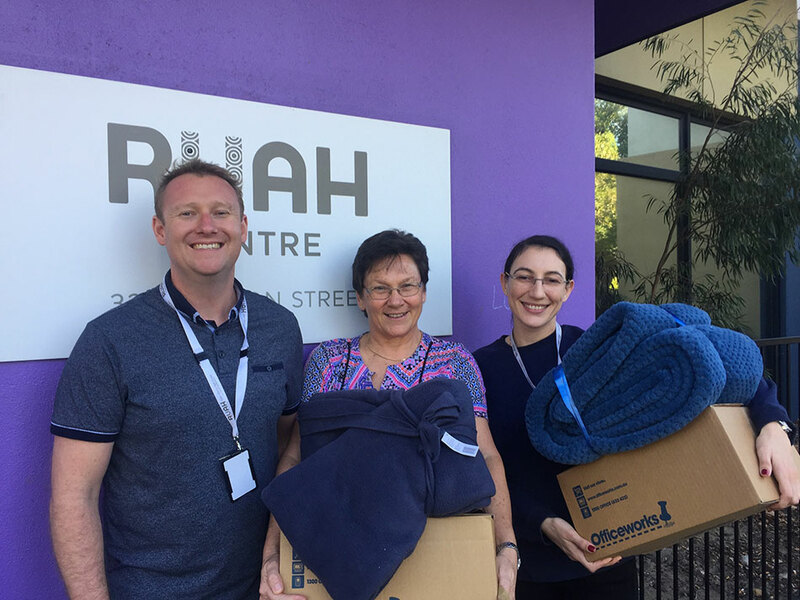 Our Employment Consultant, Sally presented the donations our team pulled together to assist support the homeless to RUAH’s Community Workers Tim and Suzana at their Northbridge community drop-in centre. Being socially conscious and contributing to our community is something that our Directors believe in and are committed to, and our team supports this ethos. The bonus for us is that helping others makes us all feel great! Want to feel good about helping others too? Why not drop into RUAH and donate some blankets or toiletries to assist our homeless community.